Branching out a little bit and posting on a couple other sites. 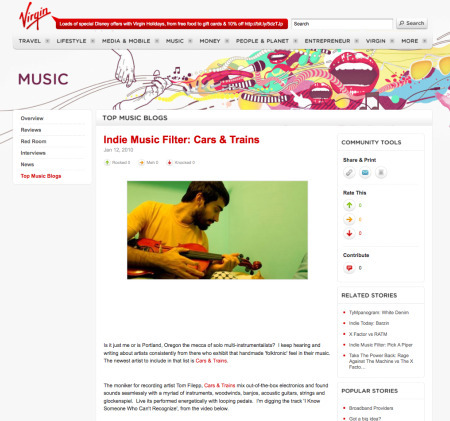 Head to Virgin.com’s Top Blogger section to hear what I had to write about Portland’s Cars & Trains. Or head to Aux.tv’s New Music section where I put my two cents in every couple days or so. 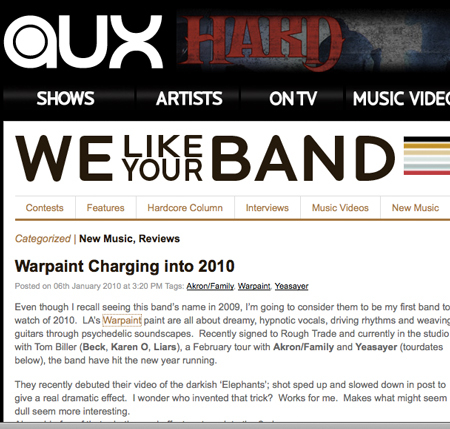 This time I’m talking about Warpaint. Both videos in said posts are below. cars & trains – i know someone who can’t recognize from cars & trains on Vimeo.